The Ten Days Six Nights series of installations and performances returns for a second year, with a focus on pioneer of performance art Joan Jonas. Throughout the exhibition’s ten days, visitors will be invited to explore a series of Jonas' installations in the museum's subterranean Tanks space. 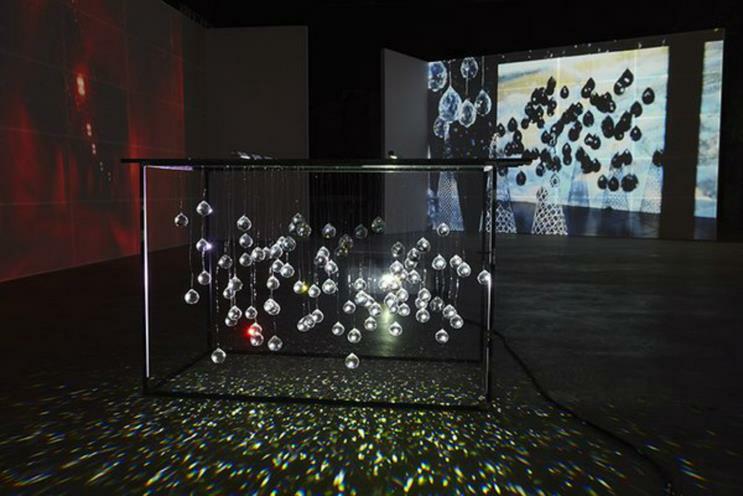 These will include the installation "Reanimation", made from projected footage of Arctic landscapes and light refracted through dozens of hanging crystals. There will also be collaborations with jazz pianist and composer Jason Moran; Chilean-American artist Sylvia Palacios Whitman and Turner Prize winner Mark Leckey. At low tide the exhibition will extend onto the banks of the Thames, featuring a new version of Jonas’s performance Delay Delay. The live exhibition runs from 16-25 March.